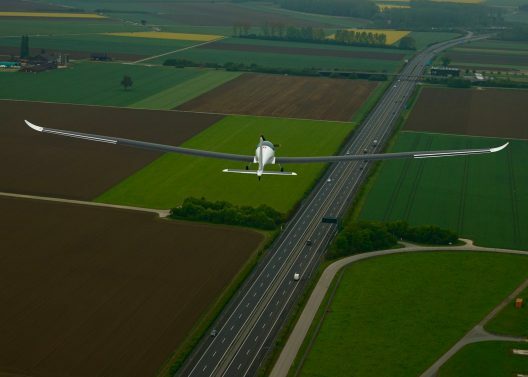 Sharing Payerne Airport with Solar Impulse, SolarStratos represents a different kind of adventure, ready to make five-hour flights to 75,000 feet (two hours up, five hours down). Such flights can carry a pilot and scientific measuring equipment, or for those lucky enough to have the price of admission, a passenger. Passengers on this high stratospheric journey will need to wear a pressure suit, and undoubtedly undergo hours of training on how to behave at such altitudes. “Reaching an altitude of 25,000 meters (82,000 feet) will pose huge technical and human challenges, SolarStratos points out on its website. “The plane and pilot will also be subject to temperatures as low as -70 degrees Celsius (-94 degrees Fahrenheit), it said. Raphael Domjan has excellent solar eco-adventure credentials, having helmed PlanetSolar, the largest solar-powered boat in the world, around the world. His enthusiasm for saving the planet matches that of his Payerne neighbors, Bertrand Piccard and Andre’ Borschberg, pilots of the Solar Impulse. The sun shines brightly on that corner of Switzerland, indeed. (Addition; May 8, 2017.) 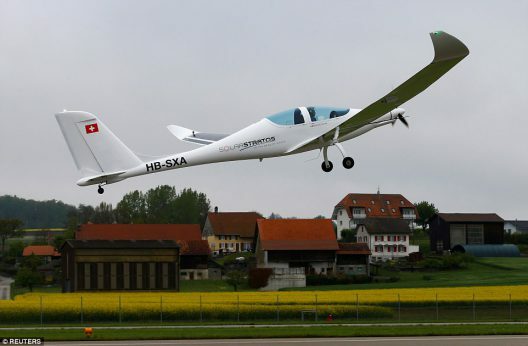 Calin wants us to know that The manufacturer of The aircraft is Elektra Solar GmbH ( Elektra-solar.com) a Merger of PC-Aero and Elektra-UAS , and at same time A spin-off from DLR ( German Aerospace), Institute of Robotics and Mechatronics.